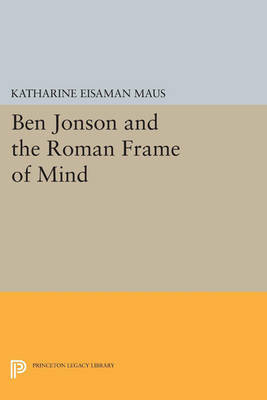 Katharine Maus explores the biographical reasons for Jonson's preference for particular Latin authors; the effects of Roman moral and psychological paradigms on his methods of characterization and generic choices; the connection between his critical theory and artistic practice; and the impact of Roman social theory on his portrayal of communities and on his peculiar relationship with his audiences. Originally published in 1985. The Princeton Legacy Library uses the latest print-on-demand technology to again make available previously out-of-print books from the distinguished backlist of Princeton University Press. These editions preserve the original texts of these important books while presenting them in durable paperback and hardcover editions. The goal of the Princeton Legacy Library is to vastly increase access to the rich scholarly heritage found in the thousands of books published by Princeton University Press since its founding in 1905.